"The London property market has proved resistant to economic or political influences; the first half of 2016 saw our offices break all records, despite stamp duty changes and the EU Referendum. We remained busy throughout the year and expect to produce very good results into 2017,” reports Andy Shepherd, Dexters Managing Director. “There are plenty of buyers around and we expect the opening months of the year to be particularly busy for the company.” Buyers are jumping in where they see good value, good locations or both, and we expect this trend to continue into 2017. We are seeing a high demand for property from local and overseas buyers, both owner occupiers and investors, all saying that they feel confident about the market. Buyers and investors both tend to take a long-term view when buying property, particularly in London, so they aren't deterred by short-term influences. Investors recognise that London is unique as a safe bet in terms of property as an investment - regulation remains a light touch and the city continues to attract new investment from around the world. We expect property transaction numbers to increase sharply in the opening months of 2017 – homeowners who have been putting off moving are on the march and new buyers and investors are looking to secure property in a safe yet vibrant and lucrative market. * London's unique position as the "world's capital city" based on its language, time zone and attractive lifestyle, creates a strong demand from international buyers, investors and tenants. * London is the least densely populated major city in the world and hence its appeal is most likely to endure long into the future. 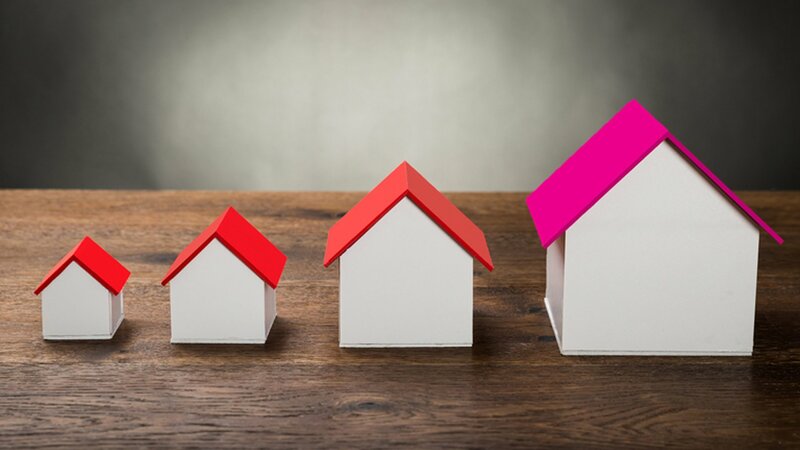 * Strict planning controls continue to restrict the flow of new properties to under half the estimated number needed to keep pace with demand. * Population numbers in London are growing and are expected to be 9.5 million by 2025 and 11.3 million by 2030. * Interest rate rises of any significance are not anticipated until at least 2020 and there remains good mortgage availability. * Investors from the UK and abroad continue to see London as an attractive place to buy and hold on to property. Andy explains “There is a strong and well justified belief that prices will double over the coming decade and that such capital growth makes the timing of entry to the market relatively unimportant." Throughout Dexters 28 Central London offices, and over 60 offices across London, the reports are that buyers and investors are jumping in where they see good value, good locations or both. Director Russell Ball, based at the Mayfair showroom is feeling confident about the months ahead: "We have seen a noticeable rise in enquiries since October in particular, and we anticipate that the new year will bring with a good number of prime property sales. We have some really exciting homes on the prime Central London market at the moment, particularly in Westminster, Chelsea and Mayfair". Steve Truman, New Homes Director, is reporting exciting new developments coming to the market in the coming weeks, expecting January to be a particularly busy time. * London and International search and relocation agents. * London based companies and institutions. * Embassies and government departments. * Universities and education providers. Top quality corporate tenants continue to compete for the best properties. As Dexters Group Lettings Managing Director Alex Harrington says, “We worked with over 10,000 corporate tenants in 2016, resulting in some excellent long-term tenancies for our clients. We expect that trend to continue into 2017.” As with sales, Dexters is on the lookout for landlords with property to let over in the new year - from small apartments to family houses - as it expects to be very busy indeed and running short of stock. Increasing numbers of people are choosing to rent so that they don't have the responsibilities of owning a property and can live there when they chose, hassle free and flexibly. Investors are out in force as there are reliable returns from a vibrant lettings market. London attracts investors as well as homeowners who want to enjoy life in the buzzing city. Demand is strong from local, American and European buyers. Unlike other agents, we welcomed the tenants’ lettings fee ban proposed by the Chancellor in the recent Autumn Statement. Whilst this is not anticipated to come into effect until 2018, this proposed fee ban will allow tenants to choose the agent they rent through on the service they provide, whether they are regulated and the number of properties they have available rather than the cost. At Dexters, we have the best staff who are trained in line with RICS and we have thousands of properties available to rent every day. * With 28 Central London offices and over 60 offices across London, Dexters is London's leading independent Estate Agency. * Dexters sells and lets over 12,000 properties a year and works with over 20,000 landlords. * Dexters 1,200 staff are trained at the company's London Training Academy and Dexters is, unlike the majority of major London Estate Agent a firm of Chartered Surveyors, regulated by the Royal Institution of Chartered Surveyors (RICS). You can find the contact details of Dexters offices or request a free sales or rental valuation of your property by clicking here.